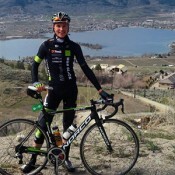 Cyclist Christopher Prendergast began his career in sport at age 13, cross-training for speed skating. Soon after, he discovered his passion for cycling, and made the switch. Christopher has been competing in the National Championships since age 15, and is currently competing at the U23-Pro/Continental level. His greatest accomplishment includes winning the Junior National Road Race Championships, a race he looks forward to each season. While he’s not training, this Winnipeg-born athlete keeps busy studying Actuarial Science through the University of Manitoba. Among his bucket list of aspirations, Chris hopes to one day travel and see the world.